The planets in the Kepler-47 system were detected via the "transit method." If the orbital plane of the planet is aligned edge-on as seen from Earth, the planet can pass in front of the host stars, leading to a measurable decrease in the observed brightness. The new planet, dubbed Kepler-47d, was not detected earlier due to weak transit signals. As is common with circumbinary planets, the alignment of the orbital planes of the planets change with time. In this case, the middle planet's orbit has become more aligned, leading to a stronger transit signal. The transit depth went from undetectable at the beginning of the Kepler Mission to the deepest of the three planets over the span of just four years. 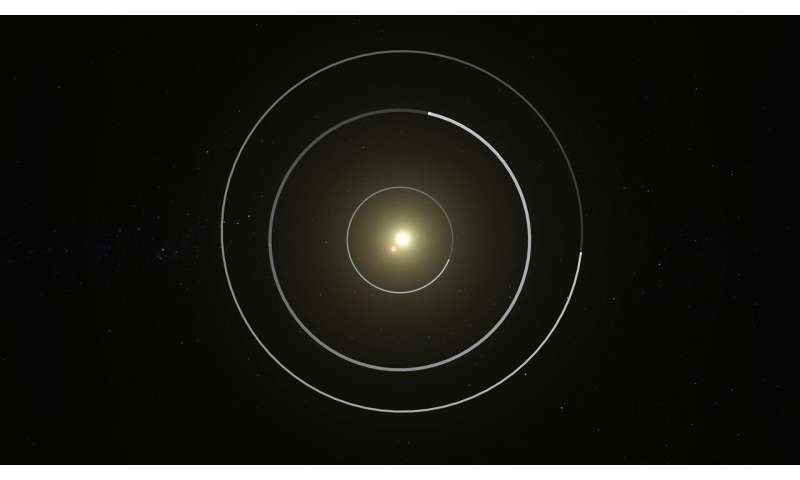 William Welsh, SDSU astronomer and the study's co-author, said he and Orosz expected any additional planets in the Kepler-47 system to be orbiting exterior to the previously known planets. "We certainly didn't expect it to be the largest planet in the system. This was almost shocking," said Welsh. Their research was recently published in the Astronomical Journal. 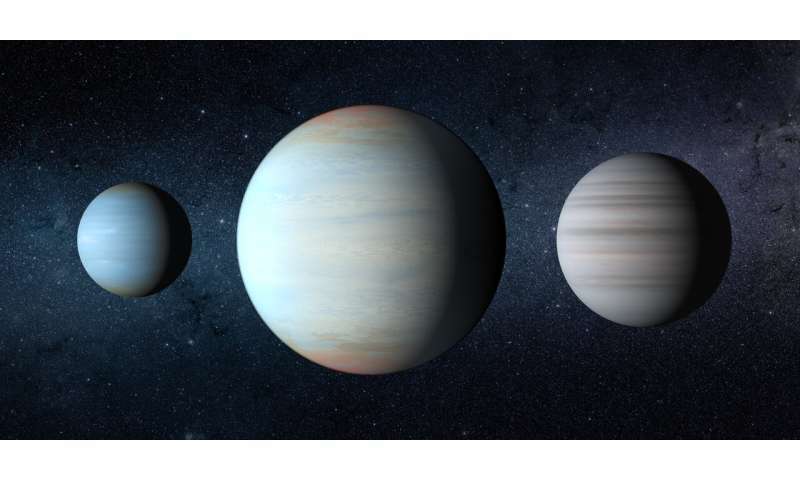 While a low density is not that unusual for the sizzling hot-Jupiter type exoplanets, it is rare for mild-temperature planets. Kepler-47d's equilibrium temperature is roughly 50 degrees F (10 degrees C), while Kepler-47c is 26 degrees F ( 32 degrees C). The innermost planet, which is the smallest circumbinary planet known, is a much hotter 336 degrees F (169 degrees C). "This work builds on one of the Kepler's most interesting discoveries: that systems of closely-packed, low-density planets are extremely common in our galaxy," said University of California, Santa Cruz astronomer Jonathan Fortney, who was not part of the study. "Kepler 47 shows that whatever process forms these planets – an outcome that did not happen in our solar system – is common to single-star and circumbinary planetary systems."